Puerperal psychosis (a psychiatric disorder that may affect women in the first two weeks after giving birth). Relating to, connected with, or occurring during childbirth or the period immediately following childbirth. It may be depressive or schizophrenic and may involve false ideas concerning the baby. 1. 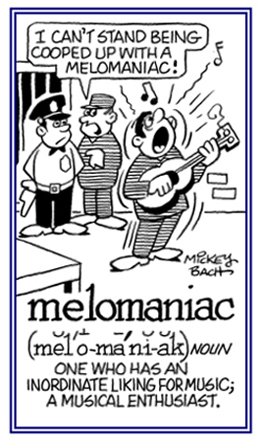 Considered an “obsolete” term for a mentally ill or disturbed person. 2. A reference to someone who is suffering from, or who has, a mental derangement characterized by great excitement, delusions and hallucinations and, in extreme stages, by great violence. An extreme concern of becoming insane or of seeing others who are mentally ill.
1. 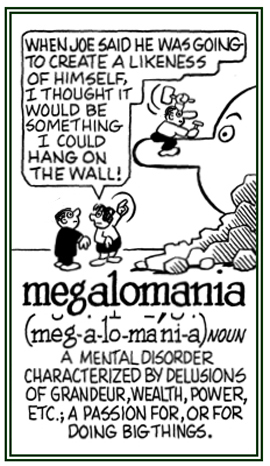 An unreasonable conviction of self-importance regarding one's own extreme greatness, goodness, or power: The ideas in megalomanias are known as delusions of grandeur and are generally considered a part of schizophrenia or other psychoses. 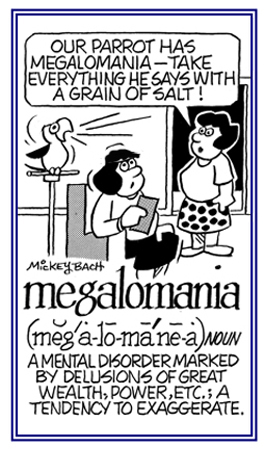 Loosely, the megalomania is also used to describe a lopsided attachment or passion for, or for doing, things on a grand scale, or a tendency for wild exaggerations or conceit. 2. 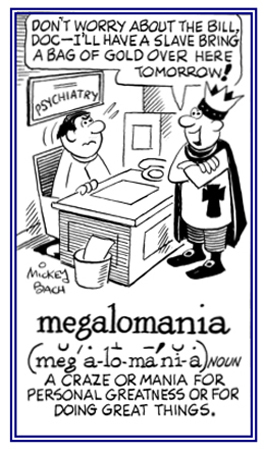 A type of delusion in which a person considers himself or herself possessed of greatness: Megalomania is when a person believes oneself to be a lawyer, a physician, a clergyman, a merchant, a prince, a top athlete in all divisions of sport, etc. while none of these are true. © ALL rights are reserved. 1. A person who has a delusional mental illness characterized by feelings of personal omnipotence, grandeur, power, wealth, etc. 2. Someone who has a delusion of greatness and omnipotence characterizing certain psychotic reactions. 1. A reference or someone who has a psychopathological condition characterized by delusional fantasies of wealth, power, or omnipotence. 2. 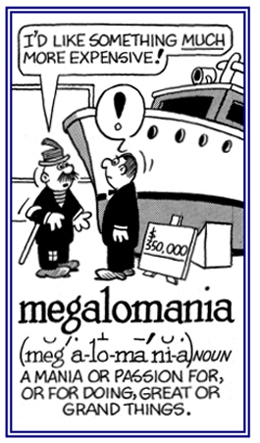 A descriptive term for having an obsession with grandiose or extravagant things or actions. A person who has an extreme fondness for music: Whenever Susan has the opportunity, she is listening to musical recordings or playing her piano for all kinds of classical compositions. © ALL rights are reserved. Showing page 16 out of 27 pages of 403 main-word entries or main-word-entry groups.